Are you looking to escape, relax, recharge, and spend some quality time with your family and friends? Try something new, step out of your comfort zone and get ready for an absolutely exhilarating experience rafting on the American River. The joy of life comes when we encounter new experiences, especially those that are filled with fun and excitement. Go to bed under a million stars and wake up to the smell of crisp fresh mountain air. Spend the day in the sun laughing with friends and family as you paddle down sensational rapids and experience all the delights and thrills of whitewater rafting. If you’ve been rafting before and are looking for a safety conscious, friendly, high quality rafting company overflowing with personality and fun, then join us for an experience of a lifetime. Our knowledge, expertise and understanding, accumulated over 36 years of rafting on the American River, will give you the most rewarding and fun rafting experience you will ever have. Our guides are diverse and come from all over the world bringing a level of professionalism and experience that clearly sets us apart. Our guides are serious about safety, serious about good times and serious about fun! The American River has become a popular vacation destination for rafting enthusiasts in California. An easy driving distance from Sacramento, San Francisco, Lake Tahoe and Reno, our deluxe campground is located on the American River, right in the middle of historic James Marshall Gold Discovery State Park. Our facilities include luxury riverside cabins, in-ground swimming pool, grass-covered shaded campsites, delicious gourmet meals, hot showers and new modern restrooms. 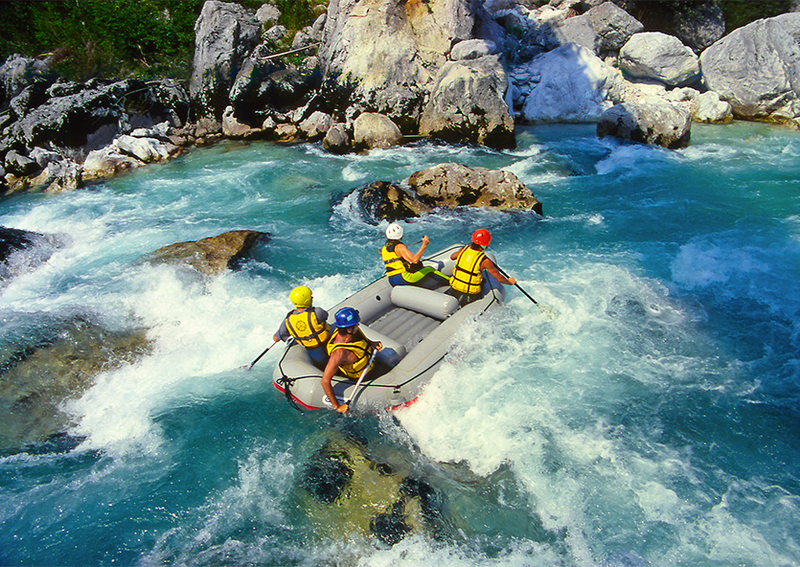 Rafting on any one of our guided trips makes for a fun and relaxing vacation option. If you have been on a river with us before, we cannot wait to have you back. If you have never been white water rafting, we guarantee you’ll have the time of your life!